Would you like to have your customized order ready when you walk into the nearest Starbucks? Then come to Korea. Starbucks is beta-testing a new pre-order app called "Siren Order" in the Korean market before releasing it in the U.S. and other international markets. Those of you who live in Korea are familiar with the long lines of customers waiting to order, during the morning rush hour and at lunch time, in many Starbucks franchises here. This phenomenon was described in The Korea Times article on the new "Siren Order." As its article noted,"Every lunchtime, throngs of office workers flock to coffee shops in a sort of ritual. During peak time, from 12:30 to 1:30 p.m. , they have to wait several minutes to place their orders and then wait again to pick them up. Some people sometimes leave the queue grumbling to get back to work on time. 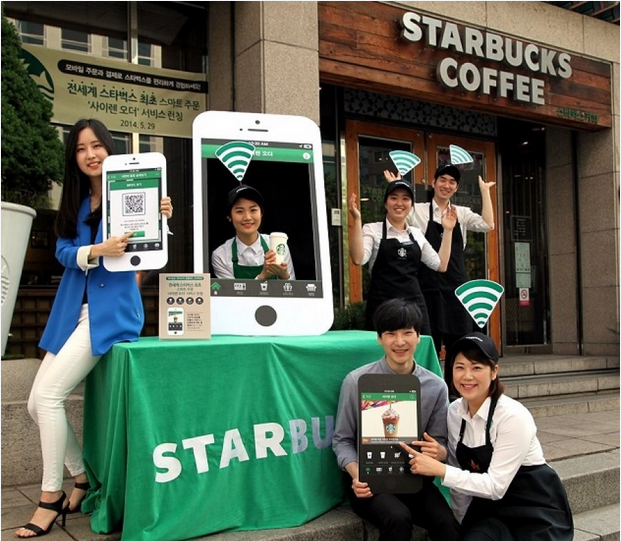 Starbucks Coffee Korea unveiled a high-tech "solution" Thursday that could shorten the long waiting time for orders." Holography: the future of display technology?